Man’s knowledge of Narcotics and alcohol dates back to the days of the ancient Egyptians and Greeks. They have been used by people for personal and ritualistic purposes since before the birth of Jesus Christ. For strictly utilitarian purposes, they have been seen as a human necessity to enhance pleasure, calm down human nerves or reduce the suffering from the endless toil and anguish it sometimes takes to sustain human life. Many religions, especially Islam, have long prohibited the use of intoxicating products, because they tended to diminish the ability to reason and to degrade man’s innate common sense. The reasoning behind the prohibition was that compromised judgment would lead to an inability to distinguish between what was right and what was wrong. Which brings me to the opium trade and the worldwide commerce in all its derivatives, including heroin. Opium is the byproduct of poppy seeds (Khashkhash) an eatable delicacy in South Asia. Poppy seeds are still used in preparing bread and different curry dishes. When the British landed on the shores of India, they almost immediately realized the commercial importance of poppy seed and its byproduct and started exporting it to China. The Chinese fast became the world’s largest consumers of the drug and the British were more than willing to quench the Chinese appetite for the drug. Indeed they regarded the opium trade as a strategic commodity in much the same way that post-war America came to view oil as strategic commodity. Since the English had a monopoly of the Indian opium trade, the Americans who wanted a piece of the Chinese opium market sent out agricultural delegation to Afghanistan to secure their own source of the valuable opium poppy. 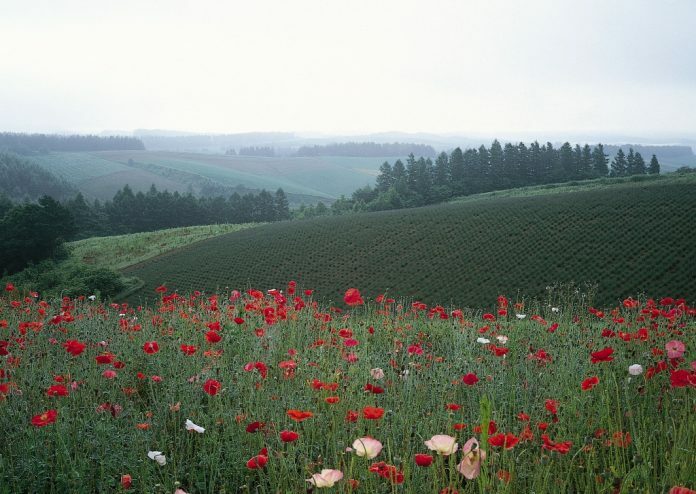 They would assist the Afghans in cultivating the poppy and buy back the crop at lucrative prices. A deal was struck and virtually the entire Afghan poppy crop grown in Afghanistan found its way to China, courtesy of American know-how. The British and Americans went to war to protect their opium franchise in China. Indeed, the opium wars against Chinese nationalists who tried to ban the trade are one of the most immoral chapters in colonial history. It was enforced slavery by use of opiates. It is worth noting that some of the most distinguished American families took part in this trade, including the Astors. Over the last century, the Chinese have risen from their opium induced stupor and are now a super power that demands and gets respect in the West. Ironically, in a strange reversal of fate, over the last few decades the dreaded opium traders have found their biggest markets in America and Europe. So much so, that an American General serving with NATO recently identified drug use as a major National Security problem that effects as many as 40% of American forces. Regardless, of the source of opiates, they seem to find their way to American shores where wealthy drug consumers are willing to pay a premium for a fix. It should therefore come as no surprise that America has intensified a very well publicized war on drugs in Columbia and Afghanistan. What is hard to explain is America’s unwillingness to confront another major source of opiates, India, the home of some of the largest opium plantations in the world. One would like to believe that when it comes to the opium trade, American governments would not differentiate their drug war strategy based on overtly political considerations. Yet in South Asia, America’s initiatives and policies against the opium trade seems to be unevenly focused on Afghanistan and Pakistan. While there is major traffic in narcotics from India, the anti-narcotics cops seem to write up citations only for Pakistan and Afghanistan. One only needs to consider the amount and quality of cultivable land available in Afghanistan compared to India, the economic isolation of Afghanistan and the fact that the Taliban are vehemently against the drug trade, as is the Pakistani government. India’s massive industrial trade with the West allows a vast network that facilitates the undetected flow of drugs. India is the largest cultivator of opium and the largest exporter of Acetic Anhydrite, a substance used to process opium into heroin. Other South Asian countries actually import opium and Acetic Anhydrite from India. Nepal is now a major source of opiates. All the ingredients of the opium trade have reached Nepal by way of India, including the raw material, the chemicals, the technical expertise and the marketing channels. With the exception of the Americans, everyone seems to know the score in Nepal, including the Nepalese leaders who see it as a major threat to the well being of their country. Americans, who introduced intensive opium cultivation to Afghanistan, need to take a fresh pragmatic look at the real shakers and movers in the South Asia drug trade. A new generation of South Asians and Americans are becoming victims to opium derivatives like heroin. The Indian government needs to be called to task for not reigning in the heinous opiate trade. Over the centuries the motivation for trading in opium have remained constant. The greed of the opium trader and the need of the opium addict drive the opium market. That equation has not changed since Britain and America were force feeding opium to the Chinese masses. Like any other business, the larger the investment, the greater the profits. Americans should realize that as long as there are huge profits from opium on the Indian side of the border, the trade will not stop. As long as the Indians and Americans involved in the drug business are reaping rewards on their opium investments, the heroin will continue to flow to American veins. As long as American drug consumers sustain a market for the drugs, some drug pusher is going to try to provide the goods. For purely political considerations, it has been tempting for the Americans to single out Afghanistan and Pakistan. If the new American administration is serious about his war on drugs, they will need to pay more attention to the Indian front. It took a Chinese revolution to finally win the opium wars. America needs to reconsider its policies in combating the opium trade in South Asia.